Will Indiana DNR ignore public opposition and pursue bobcat hunting legislation? Following intense public outcry, the Indiana Department of Natural Resources (“DNR”) Director, Cameron Clark, withdrew a proposal for a bobcat hunting season from the agency’s biennial rule package in May, 2018. Nonetheless, DNR’s subsequent actions strongly suggest the agency has not given up on this proposition. In November, CWE submitted a letter to Indiana’s Governor Holcomb, urging him to address DNR’s latest efforts to mobilize hunters and trappers and lobby politicians for a bobcat hunting bill during the upcoming 2019 legislative session. CWE contends that the closed-door meeting, co-hosted by DNR, was meant as a workaround to the public’s opposition to the bobcat season in DNR’s rule package. Presumably in response to CWE’s letter to the Governor, CWE received a carefully-worded response from DNR claiming that the agency “…has not hosted any meetings to advance another proposed bobcat season”. DNR’s other point is deliberately misleading. Yes, DNR will not be “proposing” another bobcat season via its rulemaking process. As we know, the agency’s attempts to promulgate a bobcat hunting/trapping rule failed. The agency’s carefully worded form letters, similar to its wildlife policy, are routinely vague and contrived by communication specialists skilled at perfecting controversial messages while avoiding any political hot buttons. And, speaking of “political hot buttons”, as subscribers may recall, “harvesting bobcats”, was one of the issues initially scheduled on the agenda for DNR’s Communication Workshop on October 30, 2018. This topic was removed from the agenda soon after CWE’s Director formally registered for this course and replaced with sand hill crane hunting. Are you planning to visit an Indiana State Park on November 12, 13, 26, and 27, 2018? Think again. The Indiana Department of Natural Resources (“IDNR”) has once again improperly authorized various state parks to be closed to the public for rifle-deer-hunting. Therefore, this issue is time-sensitive and will exclude anyone from visiting Indiana’s state parks on these days unless they happen to be a pre-registered licensed deer hunter who was chosen in a “random-drawing”. The IDNR’s stewardship role is to preserve and protect public properties such as state parks for Indiana citizens and future generations. These are the areas that we the public utilize and enjoy the most. IDNR claims park closures are necessary because of a wildlife “emergency”. According to IDNR’s Emergency Rule published July 4, 2018, deer are causing measurable ecological harm. However, IDNR’s dubious “emergency” claims are belied by the fact that the agency opted to ignore said “emergency” for five months until deer hunting season began. It is the agency's responsibility to prove an ecological necessity exists on 17 state park properties and then address these situations themselves. Even if the need for some form of wildlife “management” had been proven, IDNR cannot legally delegate this work to others. More specifically, IDNR cannot delegate this “management” duty to privately licensed, rifle-deer-hunters. Doing so explicitly violates the agency’s stewardship mandate and existing law. Rifle-deer-hunting on state parks has been repeatedly enabled by IDNR's misuse and abuse of the temporary rule (or “Emergency Rule”) process. IDNR’s improper use of this process is a serious and ongoing problem. It denies the public’s right to due process as it circumvents the mandated rulemaking requirements of public notice and the public's right to participate in and comment on such proposed rules. The two critical statutes IDNR relies on to enable rifle access to state parks and historic sites are nowhere to be found in the Department's Emergency Rule authorization. More importantly, neither statute grants legal authority to IDNR to deviate from the public's participation as required in the rulemaking process. No. The agency has been and continues to act improperly without any meaningful oversight. For the third[i] consecutive year, the agency has acted without legal authority by using the Emergency Rule process to allow rifle-deer-hunting on public lands. The Emergency Rule process has been abused for mere political convenience and not because of any actual ecological condition at the parks. The end result is that public park patrons are excluded from their own public lands AND from the policy making process that resulted in the closure of parks to the public in the first place. IDNR restricted public access to state parks during the 2017 firearms season when a CWE member was denied access to enter Potato Creek State Park to take photographs, because the park was being used for rifle-deer-hunting. The only photos the CWE member could take that day were of the “Park Closed” barriers placed at the park entrance. The public has no access to these cherished public lands when preferred access is given to privately licensed rifle-deer-hunters. In November 2017, CWE filed a complaint in court challenging the legitimacy of the agency’s action, specifically, IDNR's improper use of the Emergency Rule process. CWE argued IDNR flagrantly disregarded the law and lacks the legal authority to enable rifle-deer-hunting on public lands via the Emergency Rule process. In 2016, the Indiana General Assembly adopted a law limiting rifle-deer-hunting to privately owned property during the firearms season. Because rifle use was expressly limited to private property, no rulemaking was required for IDNR to implement the law. Yet, based on all information[ii] available to-date, rifle-deer-hunting was permitted on public lands in 2016. In 2017, the Indiana legislature again amended the rifle-deer-hunting statute, but the limitation of rifle hunting to private lands only remained in effect. 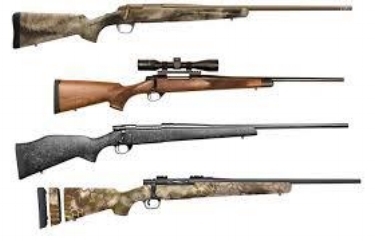 The General Assembly’s failure to expand rifle-deer-hunting during the amendment process is a clear indication of legislative intent to limit use to private lands during the firearm season. In spite of the clear and expressed limitations, in 2017, IDNR used the Emergency Rule process to improperly expand rifle-deer-hunting to public lands and into other hunting seasons. In so doing, the IDNR deliberately and intentionally defied the law. In 2018, the legislature yet again acted to amend the law presumably to spare IDNR any further embarrassment or inconvenience. Cloaked as “retroactive” and “emergency” legislation, the rifle-deer-hunting statute was pushed through with remarkable efficiency to avoid any meaningful scrutiny of the substantive changes that served to expand rifle use to public lands during any season[iii] “established by the department”. Importantly, this legislative amendment also tasks the IDNR to “adopt rules under IC 4-22-2 to authorize the use of rifles on public property”. To-date, IDNR has failed to follow its own rule-making procedures to implement the rifle-deer-hunting statute and is yet again relying improperly on the Emergency Rule process to provide preferred access to state park lands to privately licensed deer hunters. Meanwhile the public, those who fund these treasured properties, has again been frozen out of the parks and the decision-making process entirely. CWE will continue its efforts to end IDNR’s persistent abuse of the Emergency Rule process – deliberate agency acts that serve to nullify both the law and IDNR’s directive for public land stewardship. [i] IDNR has improperly used the Emergency Rule process to grant privately licensed hunters and trappers access to Indiana State Parks, historic sites, and reservoir properties for more than ten years. This blog post, however, is focused specifically on the malfeasance surrounding the rifle-deer-hunting statute. [ii] IDNR has yet to provide any discovery in this litigation or answer CWE’s initial or first amended complaint. One would reasonably believe if CWE’s allegations were untrue and the agency possessed the evidence to defend this case on the merits, IDNR would quickly and willingly offer the evidence to dispose of this case. [iii] Deer hunting seasons span 4 ½ - 5 months annually. Indiana citizens who went to great lengths to submit comments and attend public hearings to vocalize opposition to IDNR’s rule package (#17-436), rightfully feel betrayed by the latest news of IDNR’s upcoming workshop and recent meeting with hunters and trappers apparently meant to garner support for the implementation of a bobcat hunting and trapping season. This, despite the Department’s recent public announcement that the agency would not adopt a bobcat season. Some proponents of a bobcat season contend these animals are abundant and allegedly causing problems with domestic animals and other “nuisance” complaints. As evidenced by IDNR’s own “Proposed Limited Bobcat Harvest Season FAQs” these claims are unsubstantiated. Contrived bobcat conflicts fail to justify any need for a hunting and trapping season as any allegedly "problematic" bobcats can legally be managed under the authority of a “nuisance wild animal control permit” (312 IAC 9-3-18.1(a)). · And/or contact Governor Holcomb's press secretary Rachel Hoffmeyer, 317-914-5634, rhoffmeyer@gov.in.gov to raise awareness about the IDNR's recent actions. · Urge the Governor to instruct IDNR’s Director, Cameron Clark, to honor the spirit of the agency’s act in May 2018 when the bobcat hunting and trapping provisions were withdrawn from the rule package. Request that IDNR cease and desist all activity that directly or indirectly serves to advance the implementation of a bobcat hunting or trapping season. · Be sure to maintain copies of all correspondence with Governor Holcomb or his Press Secretary for future reference.